When it comes to bookworms, the only thing better than a great book is an eye-catching, unique bookshelf. 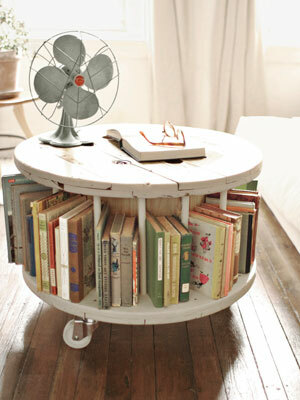 Every reader needs a special place to store their literary treasures. Basic bookshelves are everywhere; these painfully traditional styles are a dime-a-dozen. 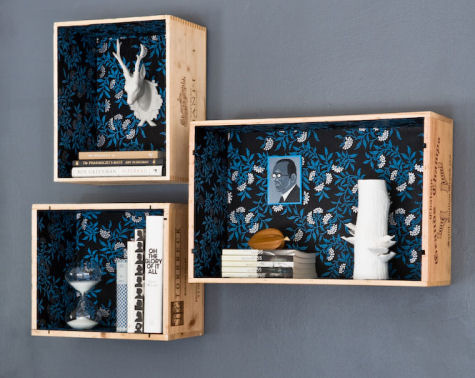 Treat yourself or the bookworm in your life with a new bookshelf that’s as unique and quirky as they are. Because of the many sizes and styles, ladders are easy to fit in almost any space in a variety of angles. The perfect bookshelf is lying in your garage or shed. 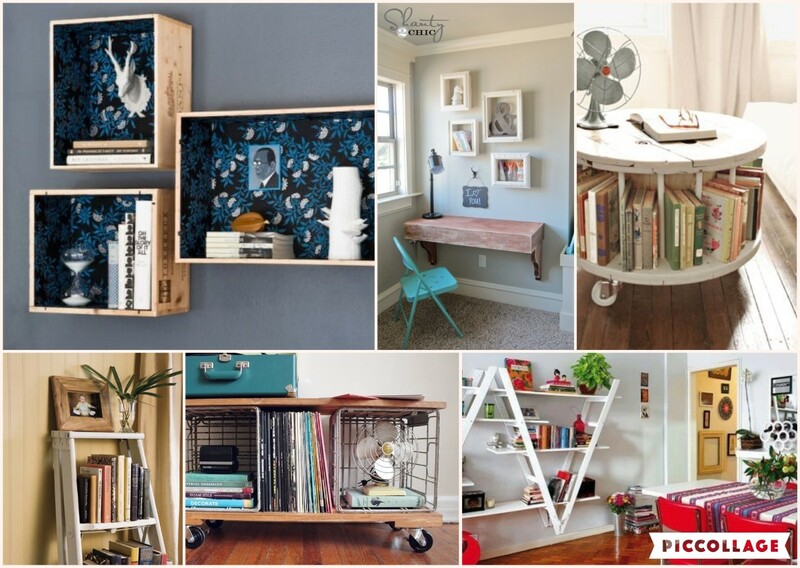 These may seem like unlikely places, but with a little creativity, you can transform your old ladder into an amazing and quirky bookshelf. Regardless of what type of ladder you own, infinite numbers of renovation possibilities exist. Old wooden ladders are perfect for a rustic, down-to-earth touch. With some spray paint and accessories, metal ladders can become dynamic pieces of art deco. Because of the many sizes and styles, ladders are easy to fit in almost any space in a variety of angles. Use your imagination and pick a ladder to transform your book collection into a piece of eye-catching wall art. Creating a specific shadow box theme to match your books shows just how much you treasure them. For smaller book collections or a group of treasured favorites, a unique shadow box is a perfect way to enshrine your favorite books. Shadow boxes come in all shapes and sizes; their unique styles make it easy to fit a variety of knick-knacks and treasures–especially books. Whether renovating old wooden crates or taking time to build your own boxes from scratch, a shadow box puts your favorite books on display. Use artsy scrapbooking paper or material to provide a unique background. Creating a specific shadow box theme to match your books shows just how much you treasure them. A coffin shadow box is the perfect home for your collection of gothic or vampire novels. Memorialize your favorite romance novels in an elegant, chic shadow box frame. There’s a shadow box theme to match every literary genre. 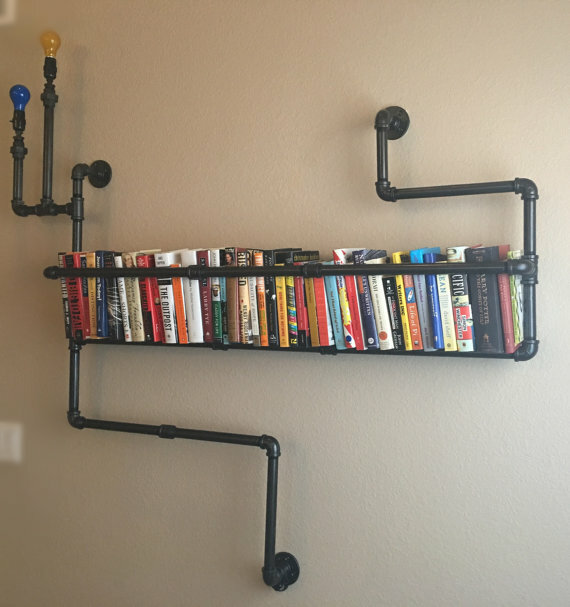 Although most pipes are safely stored out of sight beneath our sink, a few carefully chosen pipes may be just the thing for an industrial, “steam-punk” bookshelf. Although we’re socially “trained” to regard pipes as unpleasant and even ugly objects, these objects are actually incredibly valuable when used the right way. With a variety of colors and sizes, you can find just the right pipes for your books. Although these bookshelf pipes don’t hold any water, they work very well as dynamic and functional wall art. They give a fun, edgy tone to the entire room. For those with massive book collections, realistic storage is a never-ending struggle. Book-lovers are willing to sacrifice every inch of space if it means safely storing their literary favorites. For those who badly need to reclaim some space without sacrificing their book collection, consider investing in a roll-away bookshelf. These functional shelves come in a variety of sizes and shapes, all equipped with handy wheels to make transport and storage a breeze. Bookworms can simply roll away their shelves to make more space for certain occasions. 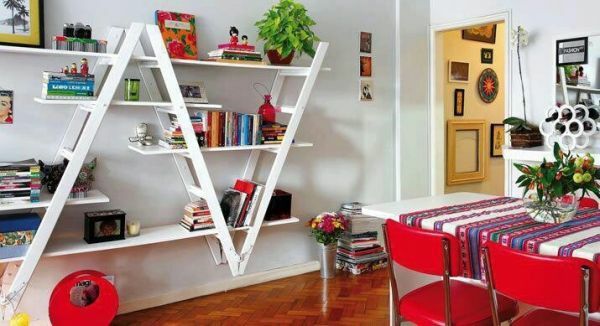 These shelves can travel to any room for a quick book stockpile. Create your own roll-away shelf from supplies such as metal laundry hampers or antique milk baskets. Depending on your needs, purchase or create the roll-away shelf that fits you best. Even bothersome book sizes and shapes are easy to store. Children’s books are infamously hard to store. Because they come in so many shapes and thickness levels, picking the proper book shelf is a real challenge. Small, floppy softcover books are easy to lose and rip. Larger, pop-up books may not always fit traditional shelving. Desperate parents are discovering just how valuable fabric pouch shelves can be. These loose cloth shelves are easy to create and even easier to hang on the walls of your child’s room. The cloth pouches are perfect for storing a huge variety of books regardless of shape or size. Even bothersome book sizes and shapes are easy to store. This shelving option is available through many child decor vendors. Creating your own pouch shelving is just as easy with a good sewing machine and several sturdy curtain rods. Your child’s books will be safe and neatly organized with this hand shelving option. A unique bookshelf is the perfect way to honor your book collection. When well-chosen, this piece of furniture easily transforms your whole house. Rather than falling back on traditional shelving designs, consider one of these 5 unique bookshelf alternatives.